Cannabis oil, CBD oil, cannabidiol - what is it and does it work? The substance cannabidiol (CBD) is gaining more attention while allegedly curing and alleviating a number of diseases and symptoms – but what exactly is it? CBD is one of the hundreds of so-called cannabinoids in the cannabis plant. Unlike the intoxicating substance, THC, CBD is not psychoactive and does not cause intoxication. However, both THC and CBD are pharmacologically interesting, as there is a great potential for medical use – both individually and in different combinations. Historically, the medicinal properties of the cannabis plant have been used for a number of ailments in many places of the world. One example is the reduction of pain and the relieving of symptoms from rheumatism and epilepsy. Today, this palette of disease states that cannabis is said to alleviate and cure. Nonetheless, the scientific support for its medicinal effect is often weak or non-existent. There have been a few large studies made in humans in regards to the medical use of cannabis. The fact that it is difficult to patent natural substances is a reason why pharmaceutical companies have not invested in medical studies of cannabis. Nonetheless, a lot has happened in recent years and today, a more relaxed view of CBD exists. In addition, the anti-doping organization, Wada, will remove cannabidiol from its list of banned substances in 2018, while cannabis and THC remain on the list. We can see the sales of CBD products, often in the form of oils, have grown sharply in recent years. The CBD industry in the United States is both large and profitable and has a turnover of just under SEK 3 billion a year. It is expected to grow and be worth around SEK 10 billion in 2020. From the point of view of authority, the criticism has been a bit hard against the industry. The FDA recently released a number of letters to some major CBD dealers in the United States. The message is: Stop marketing your products with medical claims that are not backed by science. 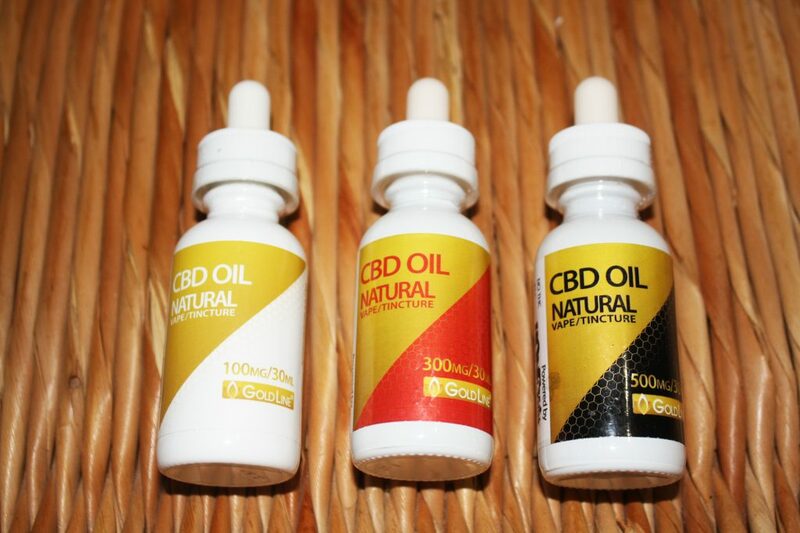 The authority is also critical of the fact that CBD oil is marketed as a dietary supplement, although according to the FDA, it is obvious the products are pharmaceuticals. A new study on CBD content in products in the US market shows that 70 percent of the tested products contain more or less CBD than the table of contents information. Can CBD cure unusual diseases? After a notable CNN report in 2013 , CBD passed on a broad front, where one had to meet five-year-old girl, Charlotte Figi, who suffers from a very difficult and unusual form of child epilepsy (Dravet’s syndrome). Charlotte was plagued by up to 300 heavy epileptic seizures a week, and after existing drugs did not work, the parents tested her medication with CBD-rich cannabis oil. This drastically reduced the epileptic seizures. The incident was an early symbol of the medical cannabis movement. Reducing seizures in an unusual epilepsy is where CBD has shown the most promising results. Here, both early clinical data and anecdotal evidence indicate that CBD can be effective against epilepsy and specifically difficult-to-treat forms that affect children, such as Dravet’s syndrome and Lennox-Gastauut syndrome. A British pharmaceutical company, GW Pharmaceuticals, is also in the final phase with a CBD-based drug that many people hope to help children suffering from severe epilepsy. A 2017 study on 120 children and young adults with Dravet’s syndrome adds additional weight to CBD treatment in epilepsy. One could show a statistically significant reduction in severe epilepsy cases in the group receiving cannabidiol. However, the CBD group had more side effects than the placebo group. Today we know that cannabis use is one of several risk factors for those suffering from schizophrenia and other psychosis diseases. Treating with substances from the cannabis plant may sound strange, but cannabidiol anti-psychotic properties are now being studied carefully. In the review article, researchers stated various studies have shown that it is possible to alleviate symptoms from schizophrenia with CBD. Among many studies done on cannabidiol, there are several whose future results clarify CBD’s potential in psychosis disease. The same British drug companies that develop the CBD-based epilepsy drug have conducted studies showing that CBD can provide symptomatic relief of schizophrenia. Another interesting area where CBD is predicted to have a medical field of application is regarding dependency disease. Studies on the treatment of problematic use of alcohol, cocaine, and opioids have been done. Other studies suggest that CBD can reduce withdrawal symptoms in those trying to stop the use of cannabis. If one summarizes the scientific situation about cannabidiol’s medical potential, one could say that it occurs a lot, but we know very little. In an uncertain situation, many people make money from selling CBD with promises of treatment that cannot necessarily be backed by evidence. CBD receiving a reputation as a miracle drug could make the placebo effect strong for those using the oil. An issue that is raised about self-medicating with CBD oil is the precise dosage. The quantity sold in pricey small bottles online is often far different than the dosage given in clinical experiments. CBD is consumed around the world. There is a difference between CBD and the substance THC of the cannabis plant. Parts of the cannabis consumed today contain high levels of THC and lower levels of CBD. Many researchers see that as a problem. A researcher and his colleagues recently published an article in the Lancet Psychiatry about how to reduce the risks of cannabis. Now, a new research project has just begun to investigate the optimal relationship between THC and CBD to reduce negative effects during the rush. Forty-five subjects will receive various doses of THC and CBD on different occasions to investigate how these affect memory and paranoia. Through the experiment, they hope to get a better understanding of how to make cannabis safer. PreviousPrevious post:The Science Behind CBD and Drug Tests: Everything You Need to KnowNextNext post:Where Could I Buy CBD Oil Near Me?